I was raised in the small town of Fort Gibson, Oklahoma, where my childhood dream of becoming a marine scientist was a far-fetched fantasy. People perceived my dream job was to become a dolphin trainer at SeaWorld, but I intended to study marine mammals and to teach the world about their secret life below the sea. Upon earning the Gates Millennium Scholarship my senior year of high school, I knew that far-fetched fantasy would become a reality sooner rather than later. I traveled half way across the country to Eckerd College in St. Petersburg, Florida to earn my B.S. in Marine Science with a focus in Biology. Two days after graduating, I moved across the entire country to pursue my M.S. in Ocean Sciences at the University of California in Santa Cruz. 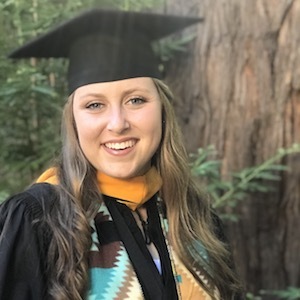 Here at UCSC, I have not only studied marine mammals, but also have worked with seals and sea lions in a cooperative research program through the Pinniped Cognition and Sensory Systems Laboratory under my advisor, Dr. Colleen Reichmuth. I am currently researching how Hawaiian monk seals are able to communicate under water by producing different types of vocalizations, as well as describing the daily and seasonal patterns of vocalizations produced by one adult male seal. This study will be the first to describe the underwater vocalizations produced by Hawaiian monk seals, and it is my hope that it will also increase the public’s awareness of and knowledge about this endangered species. With graduation approaching, I have reminisced on how eternally grateful I am to be a recipient of the Gates Millennium Scholarship, which has allowed me to become the marine scientist I have always dreamt of being.